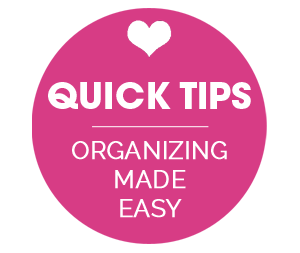 IHeart Organizing: Let's Chat! 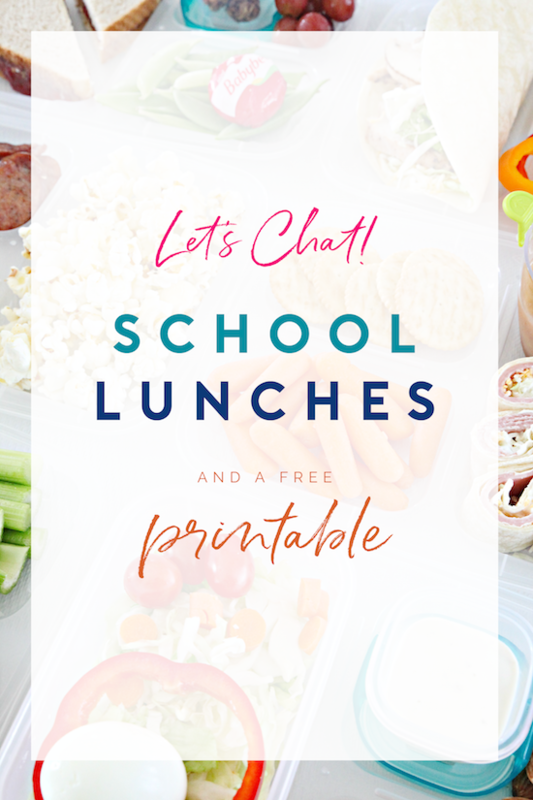 School Lunches and a Free Printable! 54 Let's Chat! 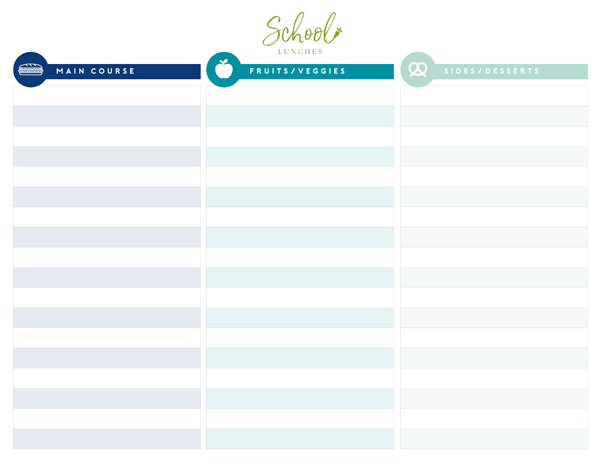 School Lunches and a Free Printable! We are officially a couple of weeks into the new school season, and with that, all of us are re-finding our routines and putting a few systems into place that correlate with this busy season of life. This year I have a senior in high school (! ), a freshman, and a 6th grader. By now, we have done the back-to-school organizing and routine changes quite a few times, and most things continue to get easier and easier. LOVE that! And over the years, I have shared quite a few of the things we do to prep, but this year I realized I haven't really posted about school lunches. So today is the day because they are a huge part of our daily life! A few things I want to mention right off of the bat; lunch and food is a personal parenting decision that I never judge and hope that we can definitely keep this conversation helpful and encouraging. There have been times that I have felt bad that I wasn't making bear shaped sandwiches for my boys, and I definitely have my kids eat school-prepared lunches as well. That shouldn't make me feel bad and I know that now. We all do the best we can for our kids, period. I know that some people truly enjoy making art out of food, that some kids are vegetarian, have food allergies, only eat organic, or don't do sugar. This post isn't about that, it's just a few really quick and simple tips for how I handle the lunch prep/making process around here. So let's dive in. The first thing I did this year is sit down with my boys and figure out what each of them enjoys most. My biggest problems leading into this year have been over-purchasing foods, trying to over-cater to their specific taste buds, then ending up in a hamster wheel of packing the same things on repeat with very little variety. So, I sat with the boys and asked them what their favorite foods are, and wrote down all of the items that they could all agree on. 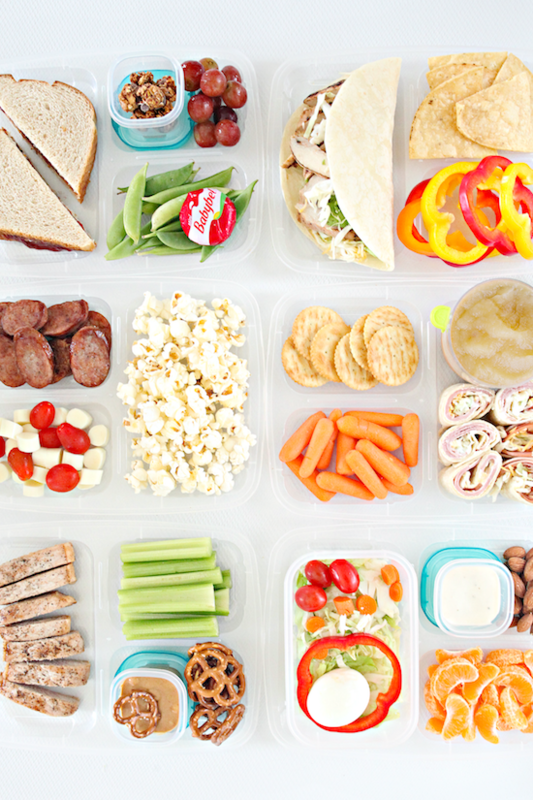 We took some time to look for quick ideas online together to come up with 15-20 different lunch options as well as a variety of quick and tasty sides. 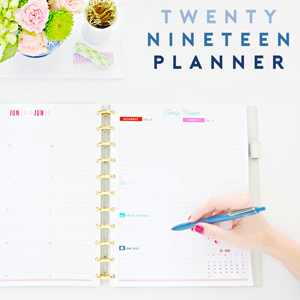 You know me, I couldn't miss an opportunity to whip up a free printable for you all, and I am SO glad I did. 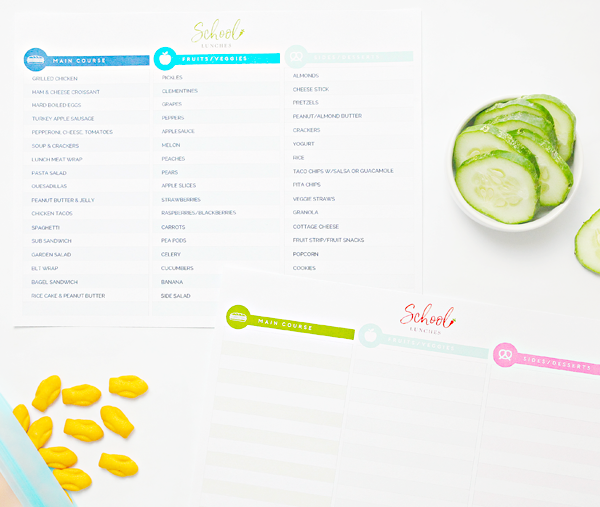 I made it editable so that we could type in all of our lunch ideas (which are broken down into categories: main course, fruits/veggies, sides/desserts), and then print it off and keep it inside of our pantry with our shopping/meal planning items. You can also just save it filled in digitally and access it from your phone or computer. Now when I am grocery shopping/meal planning for the week, I can glance at their list and be sure to stock up accordingly. This list has items they will all eat, so I can now quickly put together lunch ideas without over purchasing food while offering some variety from week to week. Keep it simple! One of the primary goals is to be speedy about lunch making. Whether in the morning or the night before, I don't want to have to invest much time in putting everything together. And really, the best case scenario is that I give the boys the tools they need to be able to do everything themselves. So, that might mean giving into some pre-packaged items or creating my own quick snack packs that we can all just grab-n-go. Typically I portion off crackers, popcorn, fruits, veggies, protein bites, etc... Whenever I can, I select fruits and veggies that I know I will get the longest life from (I have found that grapes, carrots, celery, cucumbers, pea pods, oranges, peppers, melon, and apples will typically stay fresh throughout the course of the week without concern of spoiling, and are easy to portion out). This is HUGELY important and probably my biggest tip. I will also purchase individual meat snacks, cheeses, nuts, yogurts, granola, etc... if the price is right for the time I am willing to invest. If I have more time on a given week, I might opt to purchase in bulk and create those portions myself. OK, so basically the first step was to select the simple sides that can easily be tossed into a lunch, and next, I like to do a little prep. Again, I am putting groceries away anyway, why not just put them away in individual grab-n-go packages to make the entire week go smoother? 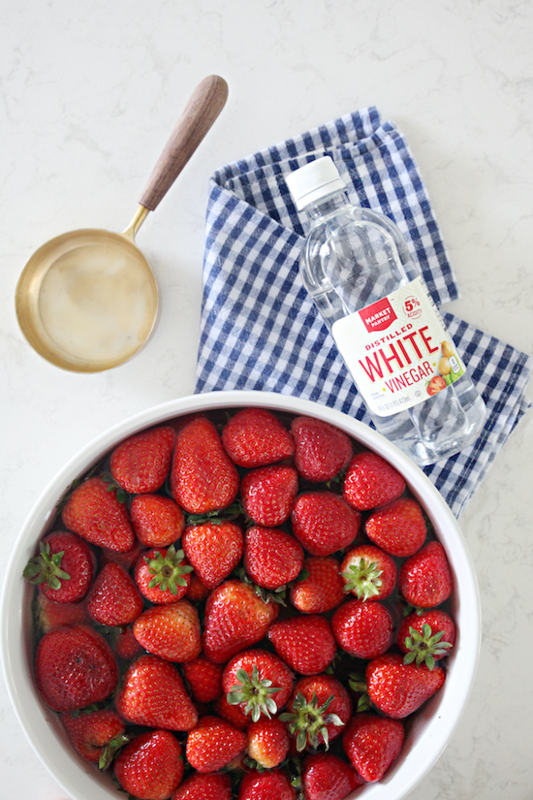 Aside from the fast fruits and veggies mentioned above, we all really love berries as well. So, while putting groceries away and doing my weekly meal prep I will soak/rinse them in a bowl of water and vinegar for a couple of minutes. They seem to last longest if I do a quick soak and then let them air dry before refrigerating. This is one more step, but if I multitask during other meal prep, then it isn't too bad and I know I will prolong the freshness for a few extra days. I do this with all berries, not just strawberries. Also fresh from the grocery store, I will cook up chicken to create grilled chicken strips that I will put in wraps, tacos, on salad, etc... And every couple of weeks I will freeze sandwiches in a few varieties in bulk. 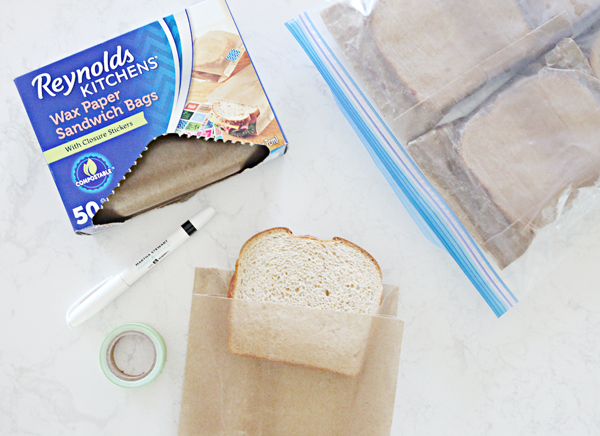 I recently switched to these wax paper bags because they are compostable and keep the sandwiches fresh in the freezer. I will make a few loaves of bread worth of sandwiches at a time (I will also use rolls/croissants with meats/cheeses, etc...) and I find they work best if I don't use spreads other than peanut butter and jelly directly on the bread. I will put together a few sandwich varieties to select from, and just label the sandwich type on the wax paper bag. The bulk sandwiches go into freezer zipper bags (which I just keep reusing) and into the freezer until a school morning when they are transferred directly to the lunchbox and they are ready to eat by lunch. 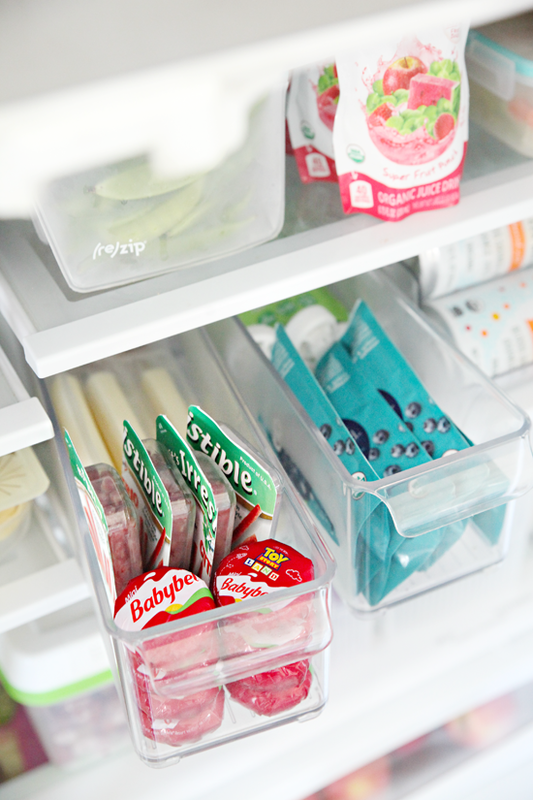 All of the pre-prepped snacks and sides are put together in a section of the fridge that the boy's love to grab from. If you have the space for it, I recommend storing all lunch related containers together. That way everything is quick and easy to pick from during the lunch making sessions. We have a nice deep drawer in our pantry and it holds all of the lunch boxes/bags, containers, water bottles, thermos, reusable bags, etc.... It has become a pretty popular drawer! 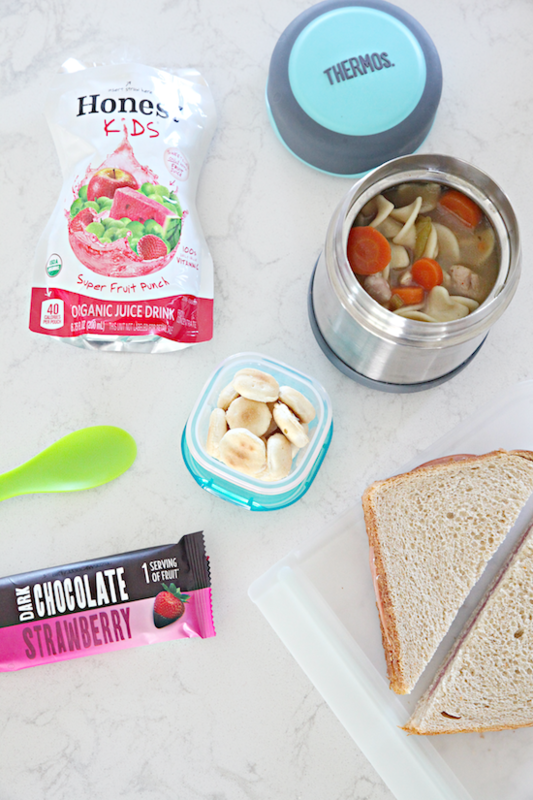 Tip five isn't as much of a tip as it is just some of our favorite lunch products. We have done bento-type containers and boxes in the past, but now that the boys are bigger, they have outgrown many of those. We prefer containers that will hold a full-size sandwich or wrap without having to turn it into bite-sized finger food. These sandwich boxes are our new favorite and I appreciate that they are dishwasher safe! They can hold the main course as well as two adequately sized side items. 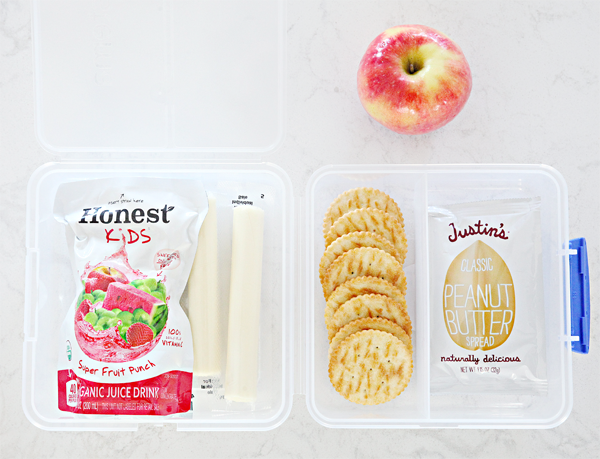 They are also really handy for sending snacks to school to get the boys by between classes and their extracurricular activities. With all of the fruits/veggies/sides, and my quest to eliminate our use of plastic sandwich bags, I invested in some reusable options and so far I have been really happy with them. 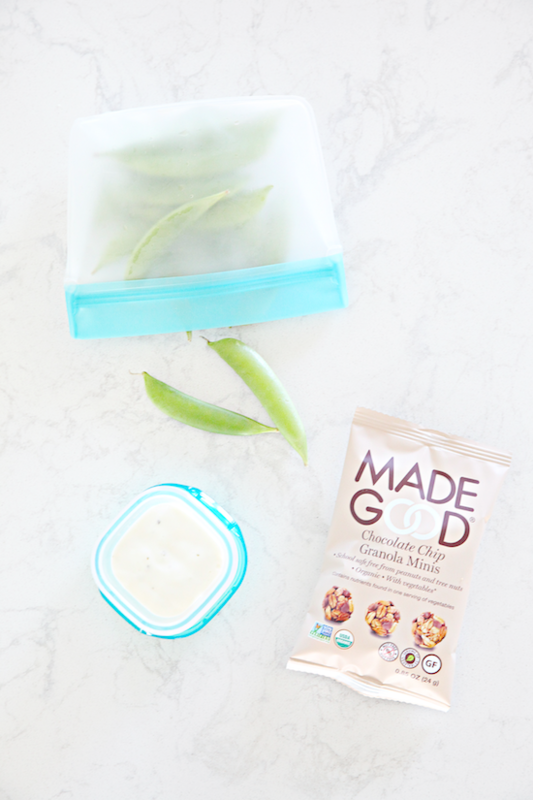 I went with both the snack and sandwich sizes and they are great for keeping a variety of snacks ready to go and fresh in the fridge, and the rest stay on hand for the dry goods. They can be washed in the dishwasher, but I usually just wash them out with this dish brush in an attempt to prolong their number of uses even more. Above you can also see the containers I am smitten with for dressings and condiments. 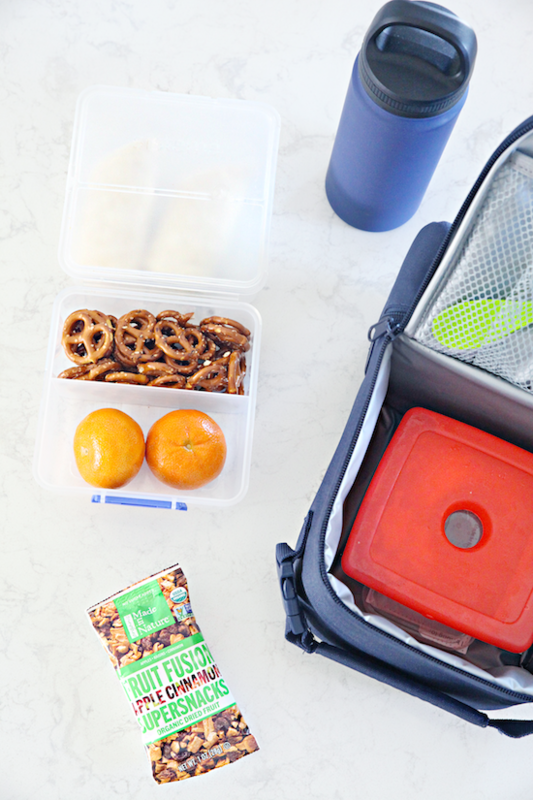 They are typically used for baby food storage, but they are completely leak proof and durable and reusable so we give them major thumbs up for lunch boxes. An insulated food jar is also high on our list because it allows us to really expand on what we send to school. We can quickly heat up items in the morning, pop them in the insulated Thermos and everything stays nice and warm until lunchtime (think leftovers, rice, pasta, soup, etc...). An insulated Thermos can also keep items cold, but we don't find ourselves using it for that purpose as often (but love that we can if we would like to). We do have these ice packs on constant rotation to help with keeping items fresh and cool for the few hours they are packed up. 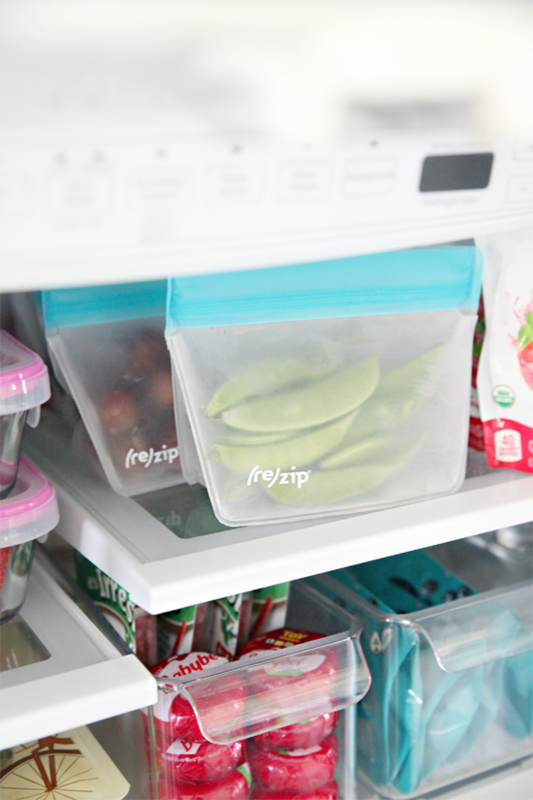 As you can see in the lunch drawer above, we also have a few airtight snap containers that work well for bulkier items and salads (similar). 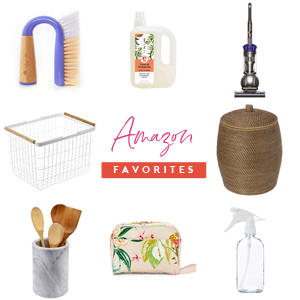 In general, I looked for containers and products that can be reused, are durable, and are dishwasher safe, all of which keep our day-to-day process running quickly and smoothly. 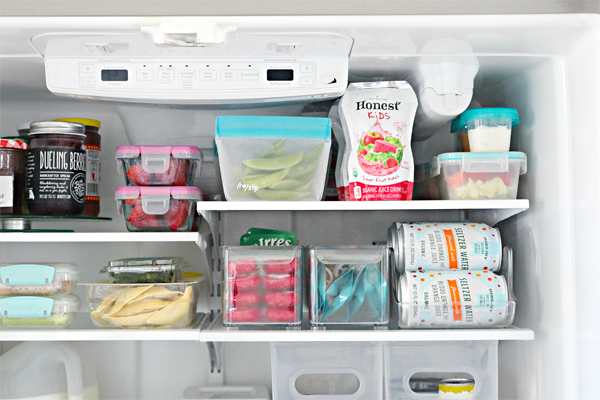 Finally, these fridge bins (similar) rank so high on our list, they are wonderful for corralling all of the individual servings of our lunch and snack sides and act like a deep drawer in the fridge. And because you all educate me just as much as I try to share what is working for us, I would love to hear more lunch ideas that are a hit in your households. It could be a quick meal, a quick tip, a favorite product, a helpful website/app, anything! Please take a moment to chime in below! Love this! Thanks much, I will be using the printable. Such great tips Jen!! I have a junior kindergarten-er now (how did she turn 4 already?!) so I've been having to make her lunches and snacks for school which was something I was DREADING! One thing I've been making that my kiddo is loving is "lunch" muffins. What's fun is she helps out! I take biscuit dough (any dough will do though), I spread them out into a small muffin tin (one biscuit per muffin), I put in a protein (chicken or cooked ground beef), some sauteed veggies I have on hand (celery, onion and peppers work well), add some sauce (salsa, tomato, etc) and then a bit of cheese. I close them up, add a bit of cheese on top and then bake them. The only problem is getting my hubby to NOT eat them all so that she has some to actually take for her lunch! LOL!! Thank you so much for sharing the idea! Sounds delish!! We just started the lunch endeavors this year since my oldest just started Kindergarten, yikes! Thanks for the printable, it will be very helpful! Although the list will be short since we have such a picky eater! You are such a talent, Jen! Love it!!! We do a lot of thermos meals. My oldest child will not eat a sandwich (other than peanut butter and jelly and that is not allowed at our school,)so we have had to get creative. Anyway, one of our favorites is a hot dog in the thermos. I cool the hot dog, and then put it in the thermos, and add hot water to it to keep it warm until lunch. Normally I slice the hot dog in half, and have two mini ones. I send it along with a bun sliced in half. It works really well. We also do chicken nuggets, pizza bites, left over hot dish and warm taco meat in the thermos! It's like Christmas morning when I see a new post from you! Great tips! Also can't wait to buy some of those reusable baggies. I go through too many disposable ones per week so those will be so helpful! Great ideas! One of mine loves taking a bagel with cream cheese in his lunch (has never much liked lunchmeat sandwiches). Something I’m struggling with this year is a drink for my bagel-eater. I feel like a thermos of water makes his backpack too heavy because he already has a thermos of water for the classroom. Last year I discovered the Rethink brand drink boxes with plain water. They were PERFECT! My son prefers plain water and they were just the right size to fit easily in the lunch bag and not add a bunch of extra weight. Unfortunately, the manufacturer seems to have stopped making them. :( I have tried the ones with a splash of fruit punch and what not, but my son doesn’t like them. Does anyone know of any other drink boxes or pouches that are just plain water? I just get the mini water bottles from Costco. It's a good lunch size. The jars are very sturdy; I've only broken one in years of doing this, and they can be bulk-prepped on the weekend. Always glad to find a post from you, Jen. I check every day, just in case. You have such a great way of explaining and encouraging at the same time, I really appreciate that! 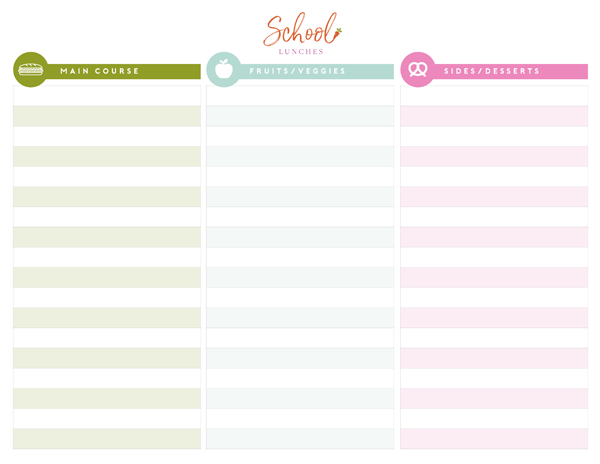 I'm a teacher and have been so frustrated with myself for not eating healthier at school, and these ideas are awesome! Thank you! I plan to use this to help pack MY lunches for work days. Thank you! I love litter-less lunches for myself and my son. Reusable sandwich bags, containers and drink bottles are so great. 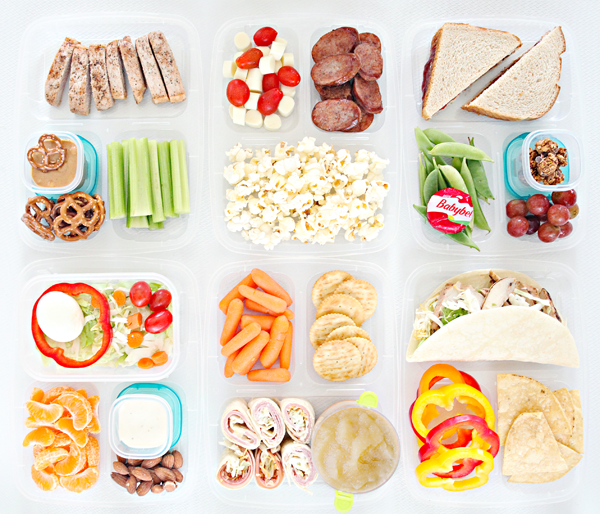 It really love seeing your snack and lunch ideas. I find that is gets a little hard to get creative with lunches. At least for my son's school since they don't have microwaves for the younger kids. Thanks again for your awesome post! Very timely post! 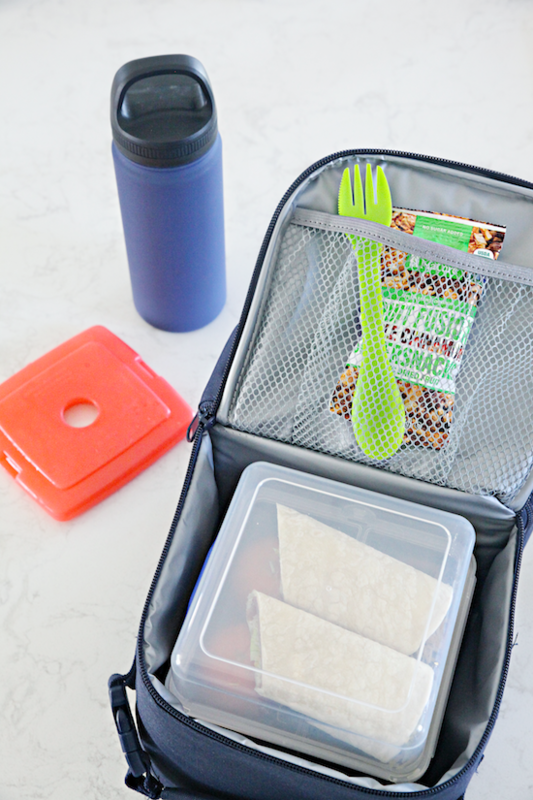 I love reusable lunch containers and will have to try those pouches. My girls have recently discovered the love sushi. Our Kroger has california or philadelphia rolls in packages of 10 pieces. Each girl grabs 5 pieces of sushi, some edemame, fruit and a juice box. They love it and i feel better about them not eating school lunches as much. My boys love sushi rolls! Great idea, thank you!! I always love your posts. Thanks for doing what you do! 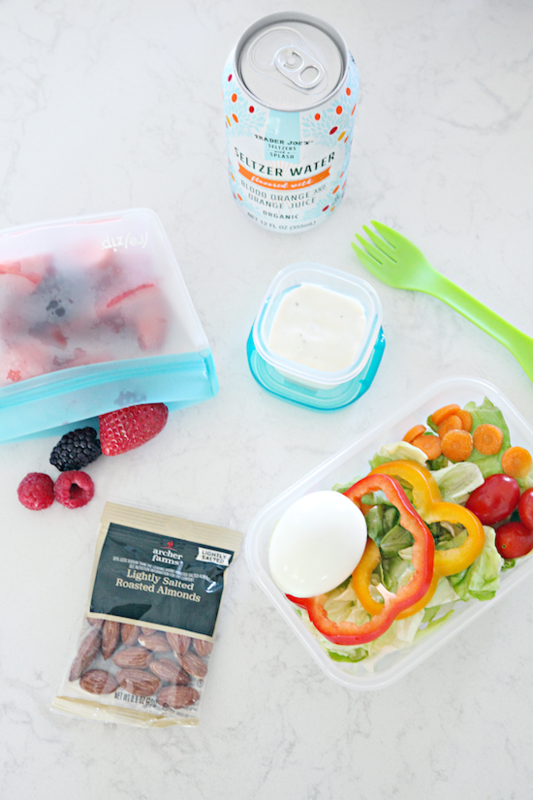 Great post, love chatting about school lunches (everyone has to deal with them :)). On non-sandwich days my daughter often has hommus with rice crackers as part of her meal. Sometimes we send along a thermos of baked beans to school. And when we have school picnics (which seemed to happen with regularity when she was younger), we used to go to the shopping centre across the road and buy sushi. My Spanish colleagues make empanadas with whatever they have in the fridge. 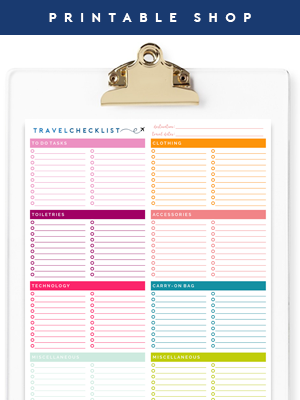 Love your ideas and will definitely use the free printables. Thanks for initiating the discussion! This is a wonderful post!!! I am two months into packing lunches and getting bogged down with the monotony of it (our school is nut free which limits options). 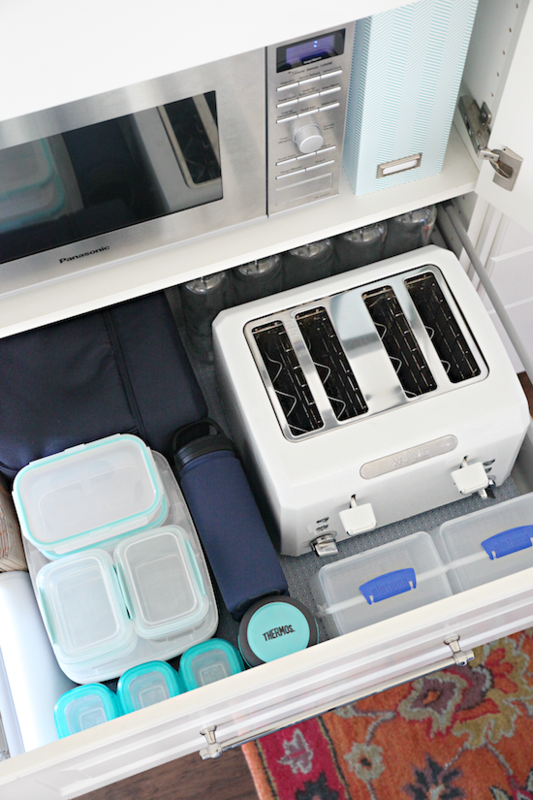 You give great ideas for food choices, storage options and packing ideas! Thank you! Love the post, Jen. Always wait for your new post. This is such a great post, thank you!!!!! Freezing sandwiches is something I never thought of, but it’s so genius. What other kids seem to work well for you besides PB&J? That makes sense. I can’t wait to try this! Thabk you for all the ideas on making my mornings easier!! What a great read! Thanks for all your tips! I love seeing what other foods others pack as I feel I run out of ideas quickly. My kids love pizzas made with the wraps. Just a bit of tomato paste, herbs and cheese on the wrap and under the grill for a few minutes. I never knew that trick about berries! Brilliant! Great ideas! I’ve only been packing lunches for my daughter for two years but it gets hard to come up with ideas, and then hope she’s doesnt get burned out! Question on the reusable ziplock bags. Do you hand wash them or put them in the dishwasher? When you freeze sandwiches, what types do you freeze? And the bread is not soggy as it thaws? I'd love to do this, but fear I'd do it wrong and end up with a lot of wasted food. Missing your posts and hoping all is well. The internet is an unusual place that makes virtual friends of strangers. Jen, I hope that everything is ok with you and your family. I check here everyday so see if you’ve posted. No pressure, I’m just a little worried. Hi Jen, Hope everything is fine with you and family. Miss your posts, but hope you'll come back after the holidays and new year. Missing your posts. Hope you are doing well. We miss you!!! Come back, pretty please!!! Hi Jen, longtime reader who has been thinking about you and missing you! Hope everything is okay. I come here everyday to see if there is a post from you. Hope all is well. We miss you, Jen! Hi Jen. I miss your posts. I hope everything is ok with you and your family. I hope you had a wonderful holiday with your loved-ones. Wishing you'd be back in the new year. Merry Christmas. Hope all is well with your family. Miss your posts. Happy New Year! Will you be back this year to share more? Praying all is okay with you and your family! Miss your posts. Hello, Jen. I hope you and your family are all doing well. I miss your posts. All the best for the new year. I so miss your common sense and beautiful organizing solutions. Hope to see you I the new year. Just another one of your readers checking in to see if all is OK. Praying for you and your family. Another long time reader here! 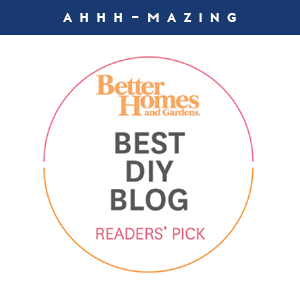 I love your blog and have gained much inspiration from it, hope you are well! I hope all is well with you and your family!!! !